Barely a week after the Kenyan elections, business is getting back to normal not only in Kenya, but the entire East African region. The Uganda Revenue Authority says it expects more fuel to be brought into the country today. This follows reports that 1.5 million liters of fuel was cleared by the authority to address the shortage that had allegedly been caused due to the uncertainty over Kenyan elections pushing the pump prices slightly higher. According to the Commissioner for Customs Richard Kamajugo, the 1.5 million liters is not enough to run the country hence need to clear more. He tells KFM, that they expect more 500,000 liters of fuel through Busia boarder today. Meanwhile, Kamajugo says they expect normal business to resume at all border points to allow un-interrupted flow of goods in and out of the country. He says the Kenyan election had affected the normal flow of trade with only about 300 trucks being cleared yet normally about 800 are cleared. 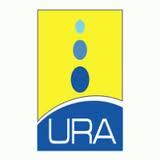 The estimated revenue lost because of Kenyan election are expected to be disclosed in the monthly URA revenue performance reports.